Purpose: "I have a dream...." A dream to expose my students to art, architecture, landscapes, and culture beyond north Iowa and even beyond the Midwest. I'm hoping to make this dream a reality by leading a field trip for my Senior Independent Studio students (2 boys, 8 girls). We talked about going to Chicago, but then realized that many Midwestern students have been to, or could generally get to, Chicago. We're dreaming big (see our planning at http://clearlakeart.weebly.com/trip.html) and are wanting to go to Seattle / Tacoma. I lived in Tacoma for 6.5 years and will make a great tour guide! Support: Interested in donating to the trip? Email Mr. Purdy for more information. Photos from our fundraising booth at Harvest Festival (10/06/2012). Despite the cold weather, good times were had by all when we sold hot chocolate, cider, student artwork, and baked goods. A few generous donors also contributed cash to our effort. Working Itinerary. November 8 - 12, 2012. Thursday: 11/08/2012: fly MSP to SEA. Arrive 3:10pm. Tacoma: drop off luggage; Pt. Defiance Park, downtown, SOTA? Dinner @ Qdoba? The Hub? The Harmon? 6pm-8pm: Tacoma Art Museum self-guided tour. Reservation made. Early breakfast @ Duval house. Must be on last train to Seattle from Lakewood at 6:37am at the latest. Arrive by 7:49am. Adult fare $5.25, youth fare $3.75 each way. Pike Place market; shopping? ; freeway park (near convention center); Olympic Sculpture Park? 10am: Experience Music Project self-guided tour. Reservation made. 3pm: Seattle Art Museum. Reservation made. Must leave Seattle by the last train to Lakewood at 6:15pm at the latest. Pack and bring sack lunches OR fast food along the way (Sequim or Port Angeles or Forks). drive to the coast & Olympic Peninsula loop: ferry Pt. Defiance to Vashon, Vashon to Peninsula? Rialto or Ruby Beach. Hoh rainforest. Maybe Hurricane Ridge.
? Mt. Rainier: Longmire and Paradise. Sunday: 11/11/2012: tour Tacoma (van now available all day). Morning free time or optional church visit. noon - 2pm: International Museum of Glass. Reservation made. Back to Seattle for shopping. Monday: 11/12/2012: fly SEA to MSP. Breakfast on the way to the airport? Devon to take us to the airport with church van. Pack List: ONLY what fits in one carry on and one checked bag. YOU must be able to carry all of your gear in one load at once because we'll be taking the train and city bus with our gear! Checked bags ($20 each) cannot be more than 50 pounds or there will be an overweight fee. > cell phones / iPods & headphones. > toiletries: deodorant, contact solution, soap & shampoo (small bottle only), makeup?, chapstick. > clothes: shorts, dress-up for space needle, layer-able shirts. > rain jacket / fall jacket. > comfy walking shoes: hiking boots or tennis shoes. > money for food & souvenirs (trains, buses, etc. paid for by the grant). > blankets or sleeping bag. > doodling, sketching, and photographing places & existing art. > see and understand the integration of art into 'life' in Seattle (graffiti, public sculpture, interesting architecture). > see others' artwork museums. > see contemporary art for sale in galleries. > visit the EMP, aquarium, history museum, or other cultural landmark not directly under the notion of "art." > photography journal / log. > memorabilia: brochures, souvenirs, ticket stubs, etc. > bus to and from MSP airport: (have parents drive?) $. > commuter train: TAC to SEA on Friday: $4.75 each way. Youth Fares (6-18 yr) $3.50. > food: (paid for by students on a daily basis). >>> SAM ($11 students, $17 chaperones). > booth / table at the Harvest Festival downtown (October 6, 2012) and selling student artwork, baked goods, cider/hot chocolate, and "Thirty One" bags and accessories. > website w/student artwork for sale. > Connell Trust Fund: an out-of-school, arts-focused opportunity. > boosters: work at a concession stand, then get specific portion of trip paid for (ex. : museum tickets). > 3 days of substitute teaching for Mr. Purdy's classroom. Mt. Rainier behind Tacoma, WA. - Tacoma Art Museum (TAM). - International Museum of Glass (MOG) & Bridge of Glass. - Tacoma Galleries: near UW-T, near bus transit center, near MOG. - Washington State History Museum. - tour Bruce Dees & Assoc and/or BRCA. - architecture tour w/Tacoma Historical / Architectural society? - Point Defiance Zoo & Aquarium. - tour SoTA & meet other HS students? - Seattle Art Museum (SAM). Friday. - Olympic Sculpture Park. Friday. - Experience Music Project (EMP). Friday: 10am. - Seattle Space Needle. Friday: lunch? - Pike Place Market. Friday. - UW (Seattle) art department. - Chihuly Garden and Glass. Friday: lunch? - ride train to Seattle. Friday. - drive over or walk on Narrows Bridge (combine with ferry route?). - Twin Falls hike - Iron Horse Trail State Park. - Mt. Rainier National Park. - North Cascades National Park? - Pacific Ocean - Long Beach & Kite museum? - orca / whale watching? - tour Safeco Park or Qwest Field? 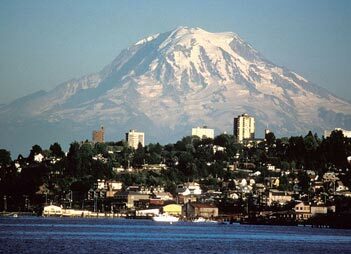 > here is a link from Alaska Airlines with things to do in the Seattle / Tacoma region. Tacoma's downtown including the Tacoma Dome. Want to go on an epic art trip? Let's think about it. Chaperones: Abbie's mom, Mr. Purdy. Funds: fundraiser? self-paid? school money? grants? Booster club request. Food: sack lunches, where to eat, funds for food. Lodging: hotel, motel, hostel, camping, family friends homes? Transportation: car pool? school van? train? Money for train / transit in the city. Agenda: leave Friday, drive to city, tour city. sleep. Saturday: Tour museums, parks, significant architecture, sleep. Sunday: free time or church, short tour in city, travel back home, possible stopover tour or visit to nearby city or park. Standards / Learning Outcomes: . Products to Complete: sketch book entries, photography log / journal. Rules: Don't embarrass Purdy. No drinking, smoking, or anything else illegal - I'll call the cops and then your parents to come get you. We will always stick together. You must be with an adult chaperone at all times. Follow all of my typical procedures regarding being respectful, prepared, diligent, honest, thankful, on task, and here. Chicago (6.5 hour drive): Chicago Art Institute, The Art Institutes campus, Northwestern campus, Frank Lloyd Wright architecture, city skyscraper architecture. Minneapolis (2.25 hour drive): park system, museums, Spoon-And-Cherry by Oldenburg. Madison (4.5 hour drive): University of Wisconsin, park & trail system. St. Louis (7.5 hour drive). Kansas City (5 hour drive). Denver (12.25 hour drive): . Dallas / Fort Worth (13 hour drive): great architecture. Dream On Cities... you have to dream once in a while! Seattle (27 hour drive): I know this one very well!!! New York (20 hour drive). Yellowstone & Grand Teton National Parks.